The security at the New World Stages theatre in midtown Manhattan on Friday was quite heavy, but you would expect that for a gathering of enemies of one of the world’s most dangerous men: Russian President Vladimir Putin. “Everything would have worked had it not been for that one mistake,” Satter said. He describes this as our “original sin” against Russia – the moment we should have known Putin had to be stopped. But in 1999, Yeltsin was so weak, and it looked as if the Communists might return to power. 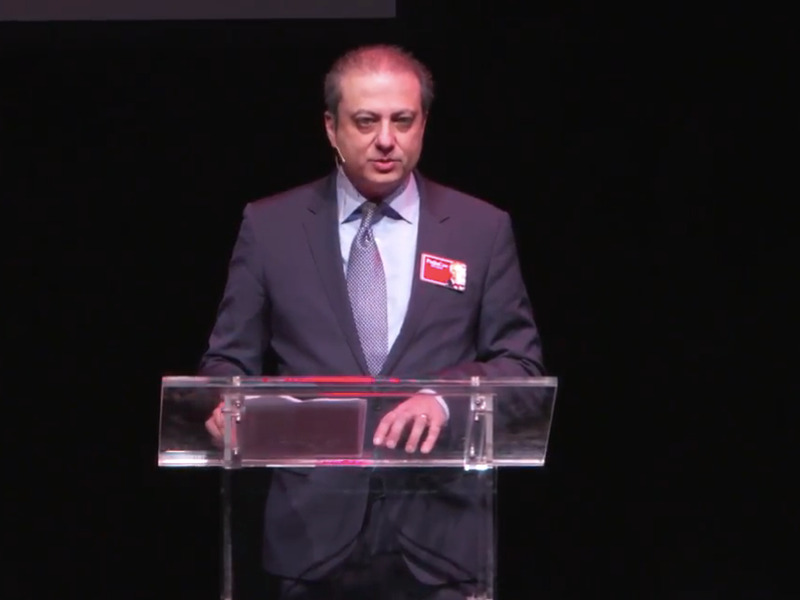 Screenshot, PutinConPreet Bharara at PutinCon. He is barred from travelling to Russia for his efforts.